42 mm stainless steel case, 14 mm thick, screw-in crown, rotating bezel with safedive system, convex sapphire crystal with antireflective coating on both sides, black dial, calibre 30120 self-winding movement with date display, approximately 42 hours of power reserve, black rubber strap, pin buckle. Water resistant to 30 bar. 42 mm stainless steel case, 14 mm thick, screw-in crown, rotating bezel with safedive system, convex sapphire crystal with antireflective coating on both sides, black dial, calibre 30120 self-winding movement with date display, approximately 42 hours of power reserve, stainless steel bracelet. Water resistant to 30 bar. 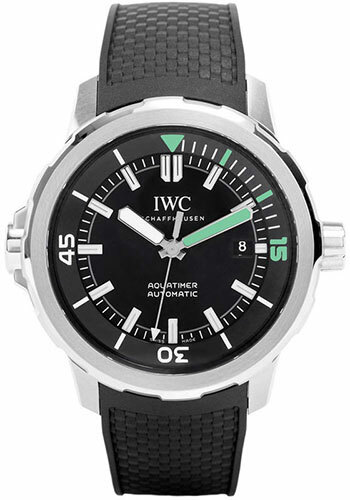 42 mm stainless steel case, 14 mm thick, screw-in crown, rotating bezel with safedive system, convex sapphire crystal with antireflective coating on both sides, silver dial, calibre 30120 self-winding movement with date display, approximately 42 hours of power reserve, black rubber strap, pin buckle. Water resistant to 30 bar. 42 mm stainless steel case, 14 mm thick, screw-in crown, rotating bezel with safedive system, convex sapphire crystal with antireflective coating on both sides, silver dial, calibre 30120 self-winding movement with date display, approximately 42 hours of power reserve, stainless steel bracelet. Water resistant to 30 bar.